Two girls who had gone missing from the same school in Hull have been found, police said. 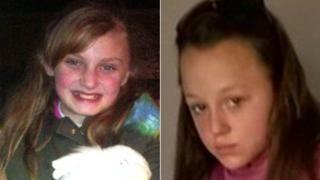 Leah Taylor, 11, and Leah Smith, 12, were last seen leaving Marvell College together at 12:10 BST on Monday. Humberside Police said they had been found safe and well in the city centre earlier.